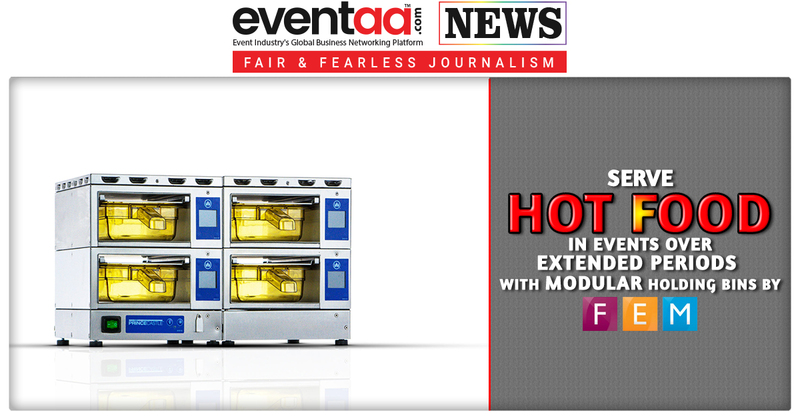 A new modular holding bin is launched by FEM U.K to hold hot food in prime condition over extended periods. The time and temperature setting in each bin can be controlled individually so that different menu item can be stored in different bins, ensuring the best possible food quality. Small events or a pop-up party can serve hot-food to guests that are prepared long hours before. Each bin measures 10.28cm wide by 13.76cm deep and come with a choice of two heights, 4.11cm and 2.5cm. The new bins can be used individually, stacked or expanded horizontally and are controlled by a master base, which can handle as many as 25 units. However, the modules are little expensive and estimated around £2,040, including the main base with one holding module. However, considering its advantage, it could be a one-time investment for better food experience during events. The bins’ large, clear display panel cycles between showing what product is being held, and how much time is left for it to be held before it needs to be used or discarded. As serving staff can see at a glance how much time is left to next re-fill it will help in minimising food waste.